MOSCOW, July 5. /TASS/. The All-Russia Athletics Federation (ARAF) has sent to the International Association of Athletics Federations (IAAF) applications from 14 Russian athletes planning to take part in the IAAF World Championships in London, an ARAF official told TASS. "We have sent to IAAF applications for 14 athletes - five men and nine women. They contain detailed information about when and where the athlete qualified for the world championships. Not only those who already qualified are on the list. It is possible that the rest of them will be able to achieve this goal before the deadline of July 24," said Yelena Orlova, the head of the ARAF sports programmes department. To date, nine Russian athletes competing under the neutral flag have qualified to take part in the World Championships in London on August 4-13. They are Maria Lasitskene (high jump), Sergey Shubenkov (hurdles), Darya Klishina (long jump) and Sergey Shirobokov (racewalking), as well as pole vaulters Anzhelika Sidorova, Ilya Mudrov and Olga Mullina, javelin thrower Vera Rebrik and hammer thrower Aleksei Sokirskiy. Runners Vera Rudakova, Kseniya Aksyonova and Kristina Sivkova, as well as high jumer Daniil Tsyplakov were permitted by IAAF to compete internationally under the neutral flag but have so far failed to qualify for the World Championships. "Yulia Stepanova was among those mentioned in the applications. We notified that we have no information about this athlete, because she failed to contact us," the ARAF official said. The Russian organization also submitted a list of personal coaches to accompany some of the athletes. The International Association of Athletics Federations suspended the All-Russia Athletics Federation in November 2015 following an investigation carried out by the Independent Commission chaired by Richard Pound. 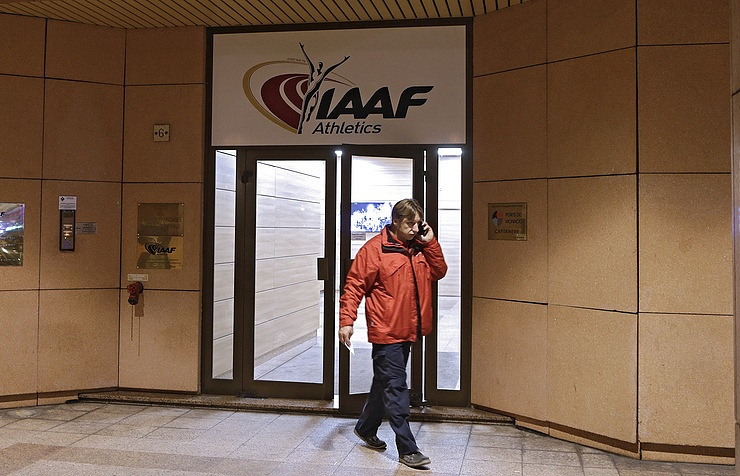 The investigation was based on assertions related to an alleged state-sponsored doping system in Russia, made by Vitaly Stepanov and his wife Yulia. The IAAF has decided that until the membership of the ARAF is restored, Russian athletes could participate in tournaments as neutrals. More than ten Russian athletes, including Maria Kuchina, Sergey Shubenkov, Daniil Tsyplakov and Anzhelika Sidorova have already been cleared to compete as neutrals. At the same time, another 43 applications were rejected. Russian ex-doping official Vitaly Stepanov and his wife Yulia Stepanova were in the center of a series of documentaries on alleged doping abuse in Russian sports aired by German TV Channel ARD in December 2014 and in August 2015.